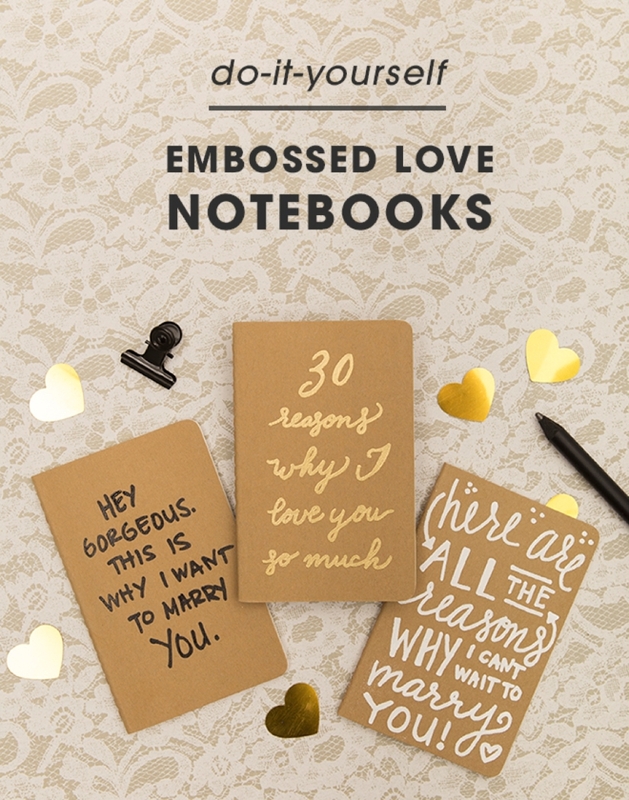 Emboss Your Own Special "Why You Love" Journal For Your Wedding! Why do you love your significant other? Are they kind? Are they honest? Are they funny? I’m sure that just off the top of your head you can compile a fabulous list of reasons why you love them… but do they know them all? Do they know how much you love their spirit? Do they know how much you adore their smile? Maybe they do, but we’re going to take that a step further with today’s project! 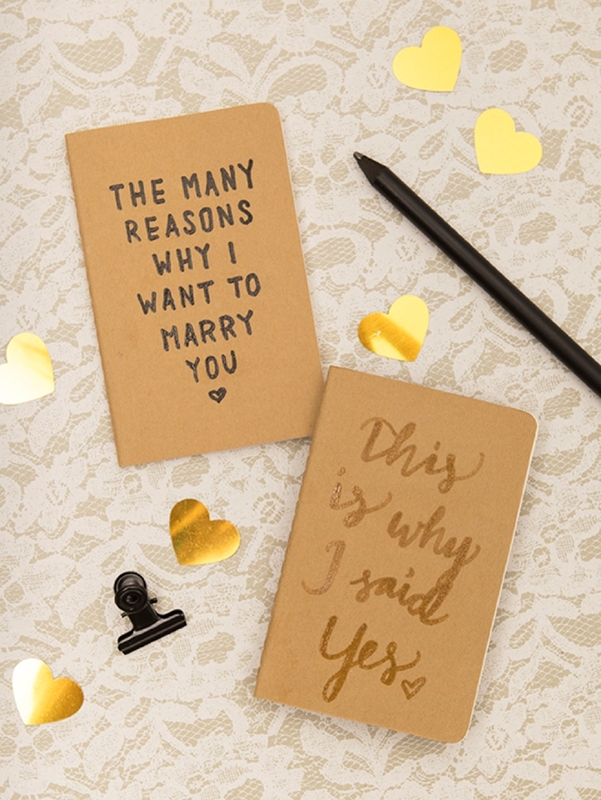 Let your soon-to-be Mr or Mrs know all the reasons why you want to marry them by creating one of these darling DIY Embossed Love Journals. 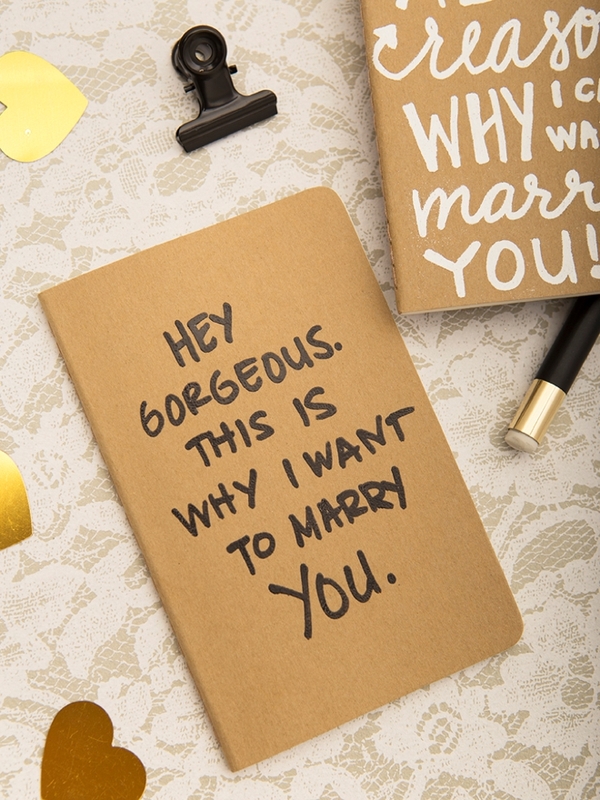 Then give them this journal on the morning of your wedding so they can truly absorb all of the reasons why you are about to vow to be with them forever… so romantic! 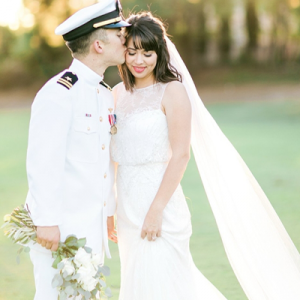 During your engagement and wedding planning start a special list of why you LOVE your person and why you WANT to marry them. 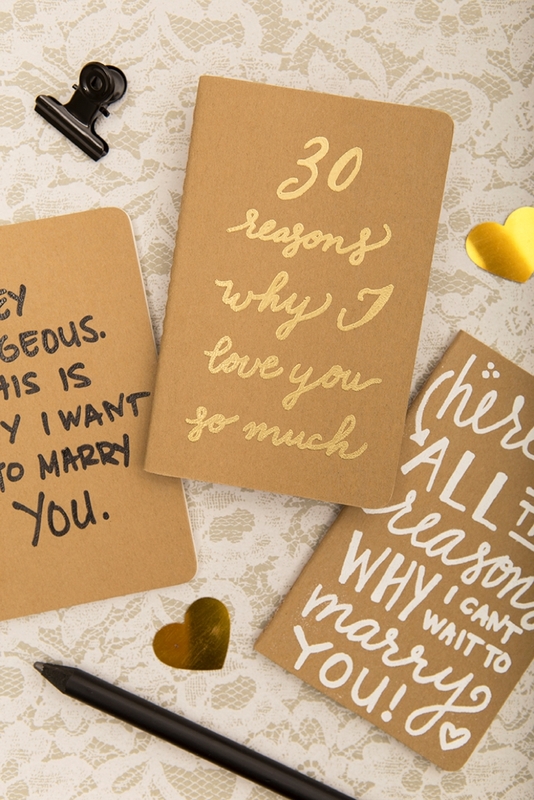 Then transfer all those reasons into this special journal to gift to them on your wedding day. 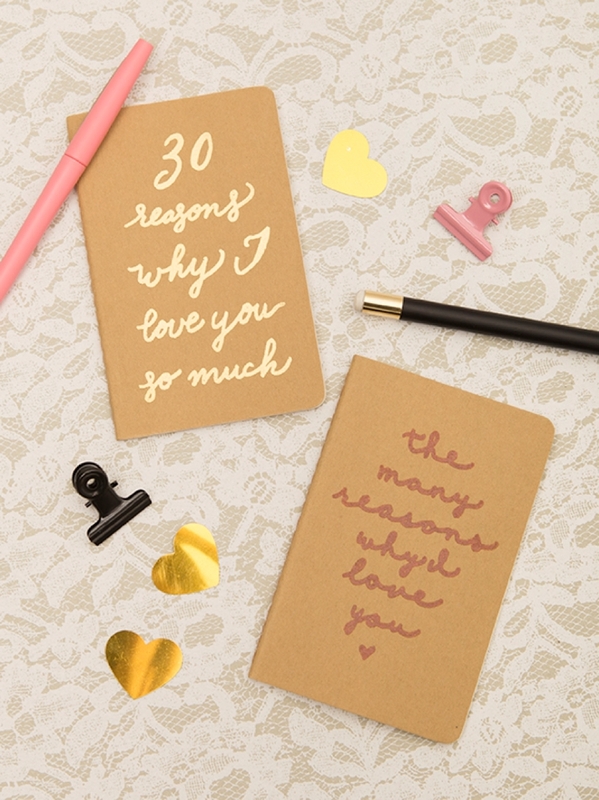 This romantic gesture will become a lovely keepsake and something your partner can re-read whenever they’d like! 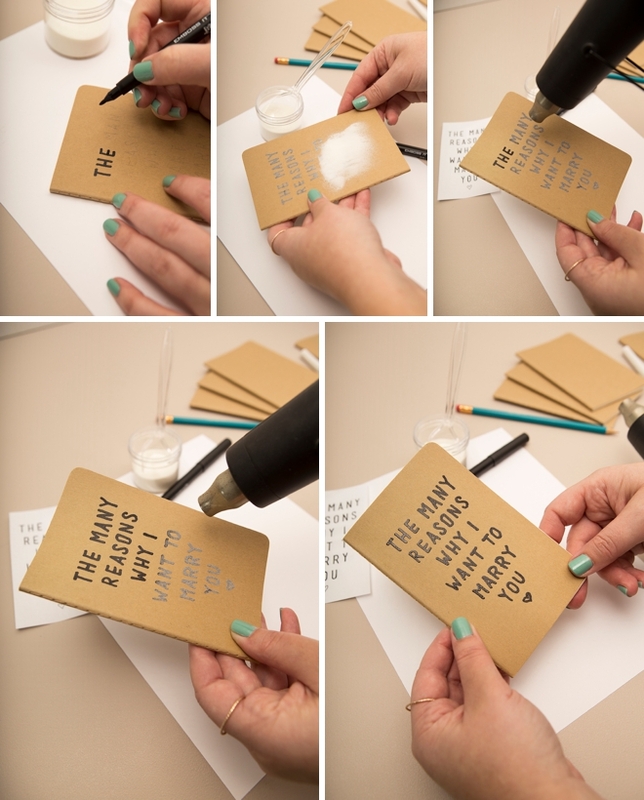 Simply put, you add powder to wet ink, heat and it turns into a 3D glass-like glaze! There are a few different ways to combine the embossing powder and ink, but today we’re using embossing pens, which come in clear and black. Here are examples of how these exact powder colors look with the two pen colors. The clear pen can be used with ANY embossing powder and will only look like the color of the powder. The black pen can be used with any color powder but the black color can change the powder color. 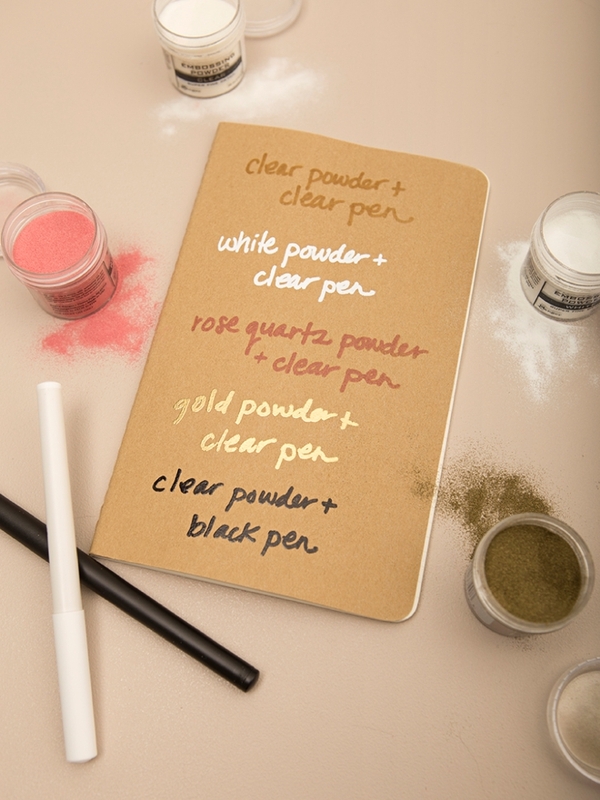 A clear pen and clear powder will give a wet look to whatever paper you use it on. 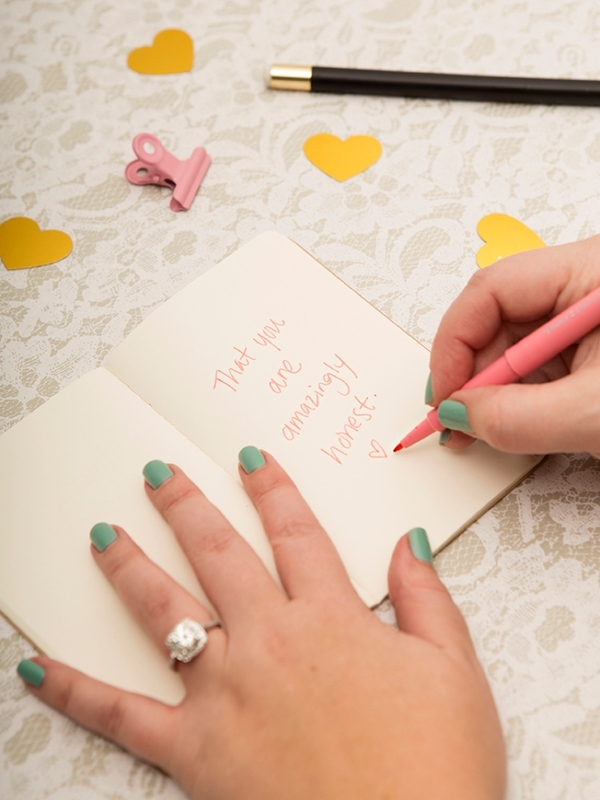 At the end of the post I’m sharing 4 designs that you can print, cut and trace onto these journals. 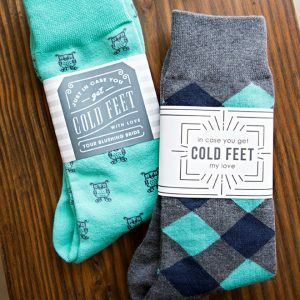 Download the design, print onto regular paper, trim on the lines provided. Then color the backside of the design with pencil and trace the design on the journal, which will transfer a small amount of the graphite from the backside of the paper for you to trace! 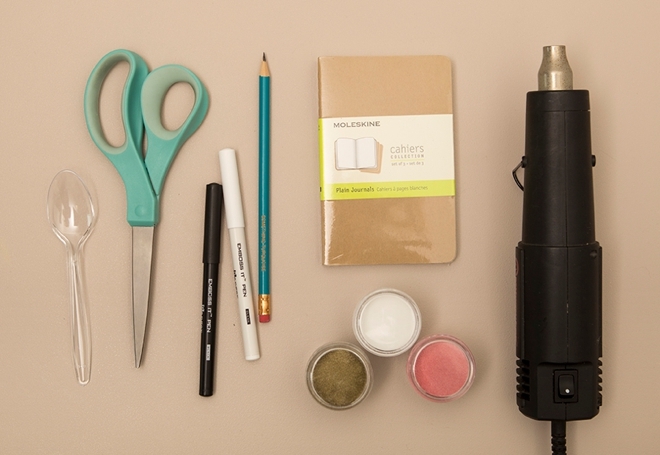 The number one thing to keep in mind while embossing is that the powder only sticks to wet ink. 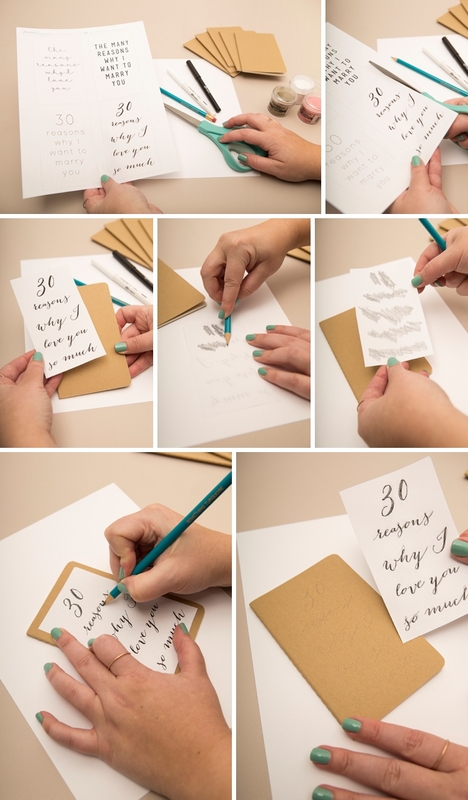 So as you create your design, stop, pour some embossing powder on it, shake off the excess and keep going until your entire design is covered in embossing powder. You don’t have to do it all in one color, you can use multiple colors of powder or different pens, the sky is the limit. Remember until heated the powder is not secure and can be wiped right off! Once your design is complete and covered in embossing powder, carefully heat the design with an embossing gun to make the powder magically turn into it’s glass-like form! So fun! 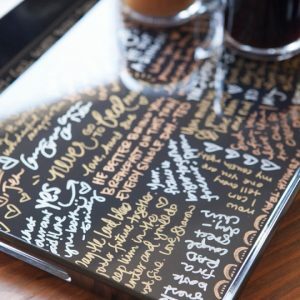 The BEST thing about using these pens is that you can full on freehand your entire design… you can write, draw, or doodle anything you’d like on these journals! 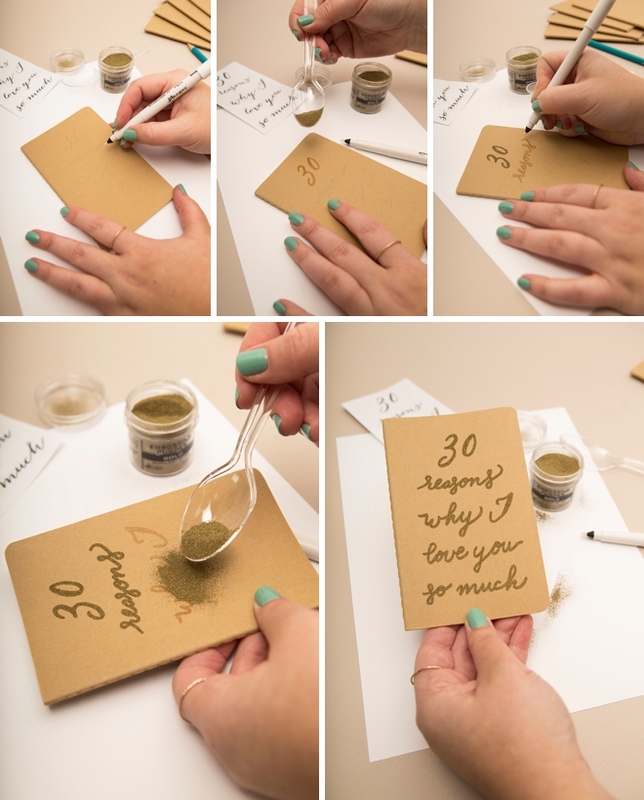 The steps are the same: apply ink, dust with powder, and heat! 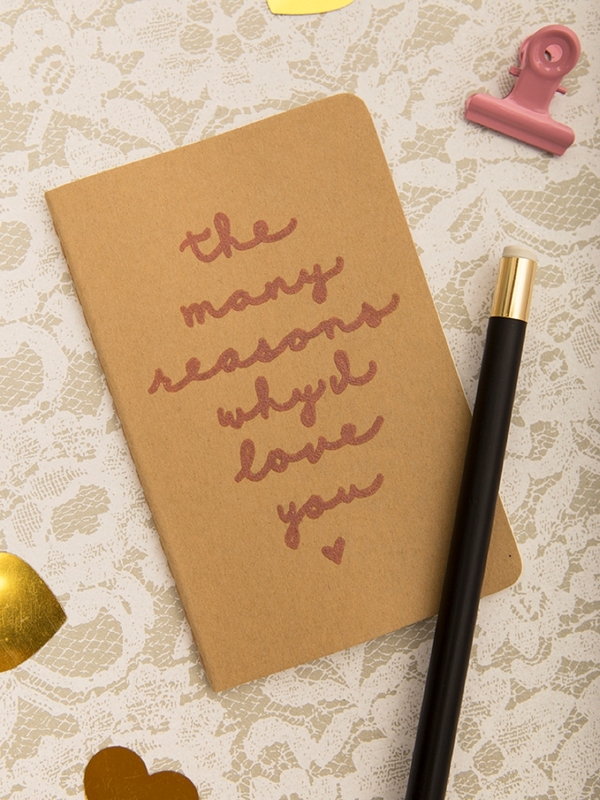 Maybe you are already married or aren’t married yet but still want someone to know all the reasons why you love them… this journal works for that too! Perfect for Valentines Day or anniversaries!